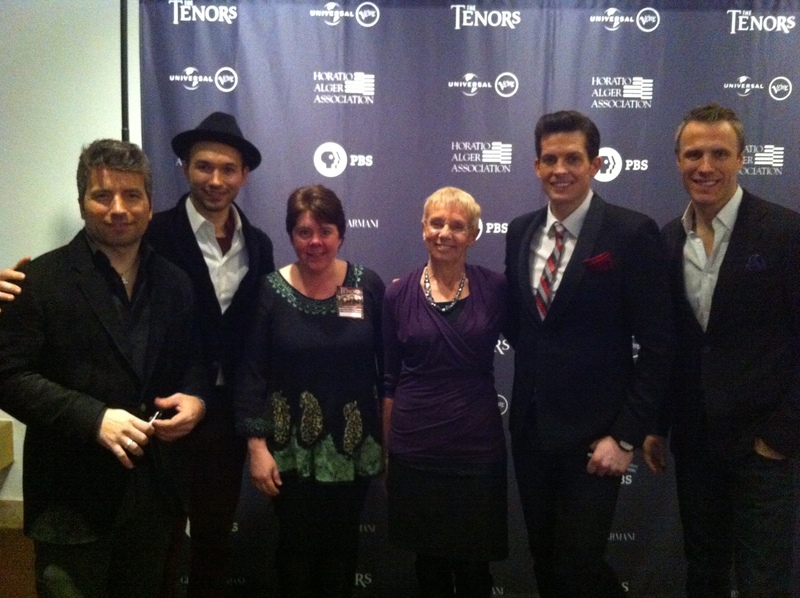 Because I have been excitedly blogging about my Christmas gift to myself, you undoubtedly know that I went to see The Tenors in Toronto Monday night. Let me preface this post by telling you I got much more than I bargained for. One of my very best friends, Kenny Munshaw (who happens to be in the music industry as well and just co-wrote a song with The Tenors) graciously accepted my pleas to meet this group of talented guys and made my wish come true. I have been a fan of this group for quite a while. Not only do I appreciate their musical range and the impeccable harmony of their voices but I truly admire the depth of their characters as human beings and their passion for sharing their gifts and their warmth and honesty with the world. Music affects us all. It is a universal form of communication that can span any language barrier because it is spoken with emotion and not just strings of words woven together. The Tenors sing because they love to sing. You can feel it in every performance. You can see it in the way they watch each other on stage and embrace after each has performed a heartfelt solo. They are not entertaining to make money, they are doing it to share their love of music – and THAT makes all the difference in the world. If you have not listened to them, I urge you to follow the link above to their website and prepare yourself to go on a musical journey. It is a passionate soul and a true entertainer that can make us forget the time and place in which we exist and become transported to a place of magic. Thank you Remi, Victor, Fraser, Clifton, Kenny, Jeffrey, Max and Darryn “Neville” for an evening I will cherish.